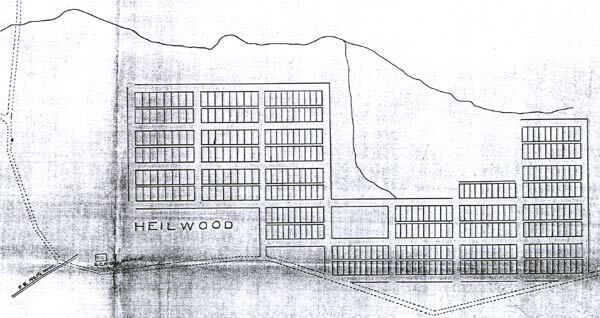 A 1907 map of Heilwood – possibly the “original” layout of the town, suggesting at least two separate plans for the town. 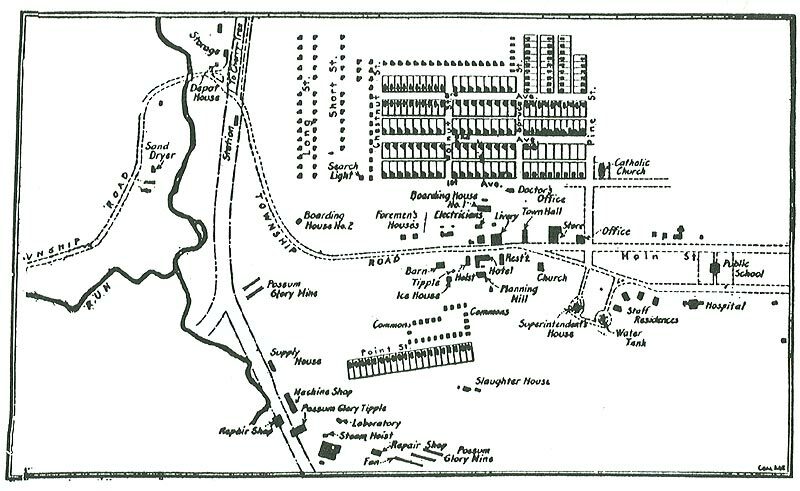 Although most people can easily discern the present layout of Heilwood in the 1911 map shown at right, few people have ever seen the map directly below it, from 1907 (see maps). On this earlier one, the town is still arranged along rectangular lines of survey, but the location is further to the northeast of its actual location. J.H. 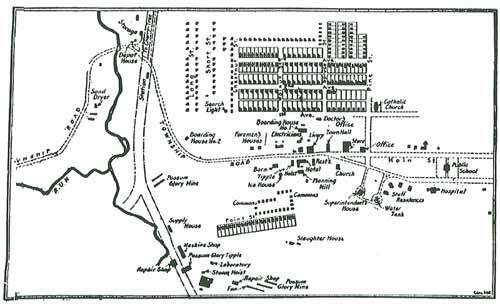 Weaver began construction of the present-day layout as early as 1904, but this 1907 map suggests that at least two separate plans for the town originally existed! 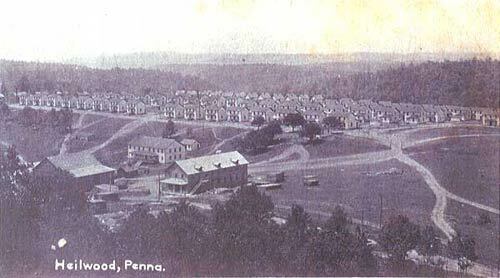 View of Heilwood, Pennsylvania, circa 1907.